It needs to streamline the list of families entitled to foodgrains under the National Food Security Act. The rollout of the National Food Security Act provided a unique opportunity in many states to fix longstanding issues in the public distribution system – for example, the faulty selection of beneficiaries and corruption. There are indications that in ‘laggard’ states such as Jharkhand, Madhya Pradesh and West Bengal, both exclusion errors – the deserving getting left out – and leakage rates – foodgrains getting diverted to the open market – have come down. But Rajasthan appears to have missed the boat. Rajasthan’s troubles began because it was in a rush to rollout the National Food Security Act ahead of the state elections in December 2013. To expedite the process, instead of making a fresh list of eligible beneficiaries, the state retained old lists of entitled families under the categories of Antodyaya or the poorest of poor, BPL or below the poverty line, and an updated BPL list to include those left out. Sticking to the old lists meant inclusion errors were not remedied – families with higher income and assets who had been wrongly included in the old BPL list remained eligible for the grains. 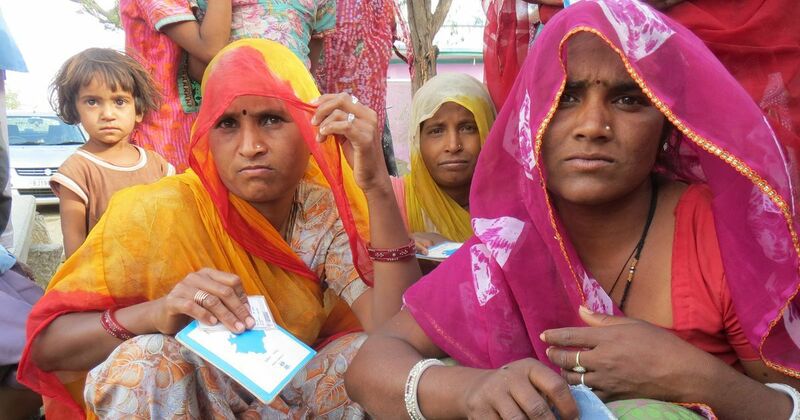 To expand the list of entitled families, Rajasthan decided to ‘stamp’ cards of above the poverty line households if they met inclusion and exclusion criteria. This led to the state exceeding its prescribed coverage limit. Under the National Food Security Act, the Centre covers the cost of five kilos of monthly foodgrains for 69% of Rajasthan’s population. Having included more than 69% of the population on the new list, and unwilling to use state funds to cover the additional cost, Rajasthan decided to prune the list. Three years later, the state continues to struggle to streamline the list. Dealers in several districts tell us that the National Food Security Act list, according to which they receive grain, does not match the list on the Point of Sale machines which records sales for the Management Information System. It is not clear how the POS list was created. To make matters worse, they claim, the distribution of ration cards does not tally with either the NFSA list or the POS machine list. This has given the dealers a chance to claim that grain supplies are inadequate, or arbitrate who is entitled. The videos here illustrate four key problems from Nokha in Bikaner that are rampant elsewhere in Rajasthan. But first, some good news. Surveys done before the implementation of the National Food Security Act in Rajasthan suggested that leakages for BPL, state BPL and Antyodaya households are small. This is largely true today, albeit with some difficulty and harassment due to the introduction of Aadhaar-Based biometric authentication. There were no complaints of overcharging for the foodgrains either. Rajasthan has the best toll free helpline number that I have encountered. It is unfortunate that it was not printed on all ration cards, because awareness is low, which can be easily remedied by sending a text message about it to all registered mobile phones. The continuation of exclusion errors in Rajasthan post-NFSA is illustrated by the first testimony from the Sansi hamlet of Paanchu village. Sansis are Dalits, who eke out a living collecting trash, skinning dead animals, etc. 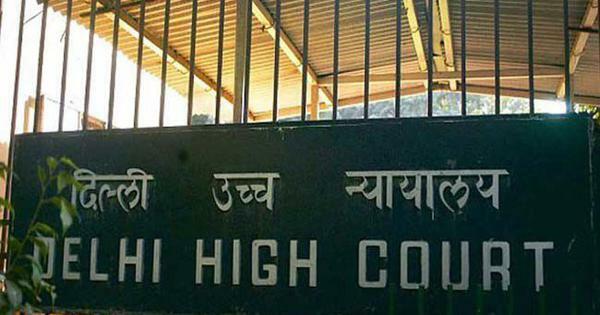 According to the Supreme Court’s orders in the “Right to Food” case, Sansis are entitled to Antyodaya cards. Of 14 households we met, only three had Antyodaya cards. Two households that had BPL cards before NFSA was implemented no longer had cards. The rest had APL cards with no entitlements. The Supreme Court has reiterated seven times that the Aadhaar number cannot be made compulsory. The last orders was issued in September 2016, after the passage of the controversial Aadhaar Act. Yet, the government has brazenly been violating these orders and the Court has remained unconcerned by these violations. Kojaram Meghwal of Kudsun village tells us how his rations have been discontinued for the past year and a half because of Aadhaar related issues. Since the idea of Aadhaar-based biometric authentication has been mooted, we have been saying that the main problem in the public distribution system is ‘quantity fraud’ – or dealers selling smaller quantities of foodgrains to entitled households. Aadhaar cannot solve this problem. This is evident in Rajasthan now. Among the newly included households where awareness regarding entitlements is low, quantity fraud is common. People authenticate their fingerprint when they go to buy kerosene, but the dealer surreptitiously records wheat sales also. Or people authenticate for two months’ worth of rations but are given one month’s rations. People watch the entries in their ration cards, which record sales every alternate month, but not what is recorded in the POS machine. When Remti and Kiran of Dawa village went to the dealer, he told them: “Your husband is dead, what will you do with so much grain.” After repeated trips, they say they got 50 kilos of foodgrains over two months. Official records, however, show 80 kilos of sales. Aadhaar-based biometric authentication has done nothing to protect vulnerable families such as Remti and Kiran from quantity fraud. The last testimony shows that sometimes, even when people are aware and vigilant, the Aadhaar-based biometric authentication system can be rigged. On 14 February 2017, when Hariram was at a Gram Panchayat meeting, he got a text message on his phone stating that his monthly grains had been lifted. He immediately checked the computerised records online at the E-Mitra centre, which gives villagers access to internet. The records confirmed that his grain for February had been lifted. But Hariram had not lifted the grains. In the video, Hariram confronts the dealer with the text message and the E-Mitra record. The dealer mentions the use of a ‘one-time-password’ or OTP – an OTP is automatically sent to the registered mobile number when fingerprint authentication fails on the third attempt. But he does not tell us how Hariram’s transaction could be completed without fingerprint authentication or Hariram receiving an OTP on his registered mobile. There are many other issues. The new ration cards are not in the name of the female members as mandated by the National Food Security Act. Antyodaya cards have been deleted. There are fingerprint authentication issues, connectivity problems, seeding errors, and so on. Before these can be tackled, however, Rajasthan needs to urgently streamline the list of entitled households by merging BPL, state BPL and “stamped” APL households into a ‘priority household’ list as required by the Act. The state may want to reintroduce its ‘coupon’ system about which people spoke with nostalgia. Each family was given 12 coupons for the year against which they got their monthly grain. It did not require technology and was an inexpensive safeguard that works reasonably well for people.